The National Grid study “Managing Energy Costs in Office Buildings” reveals that lighting on its own within the common American office building represents as much as 47% of its energy consumption. * Verde Solutions’ LED office building retrofit reduced the energy consumption associated with lighting by 55%! For over 60 years, Weldbend Corporation has been producing the highest quality, domestically manufactured carbon steel fittings and flanges in the industry. With 36 acres and over 300,000 square feet dedicated to production and stock, Weldbend is equipped to handle innumerous projects. Weldbend is also the only domestic manufacturer of both carbon steel fittings and flanges, delivering a level of service unrivaled in the industry. Verde Solutions, LLC custom built an Industrial Highbay capable of achieving 125 foot candles to fit the needs of Weldbend’s facility. 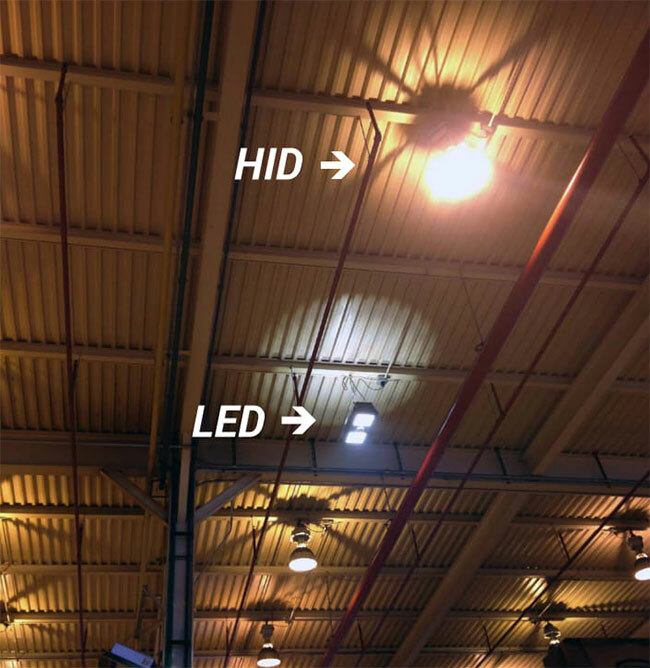 The feature that made this light unique to the industrial lighting market was the up-light module that eliminates the “cavern effect”, which often occurs in large facilities (see image 1 on the next page for a comparison). Another feature included the full wireless controls of the fixtures daylight harvesting sensor to distribute light efficiently. This sensor offsets energy consumption by adjusting the amount of lighting used within a space based on the amount of available daylight. Occupancy sensors were installed for better security and increased efficiency. The Industrial highbay is suspended at approximately 30ft. and Weldbend, being a high volume manufacturer, needed an easy to clean facility including the ceiling. Verde was able to qualify the highbay for the IP65 rating allowing the fixture to be power washed. 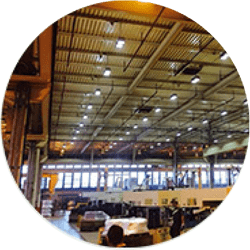 Verde Solutions’ lighting retrofit for Weldbend reduced energy consumption due to lighting by 40%. 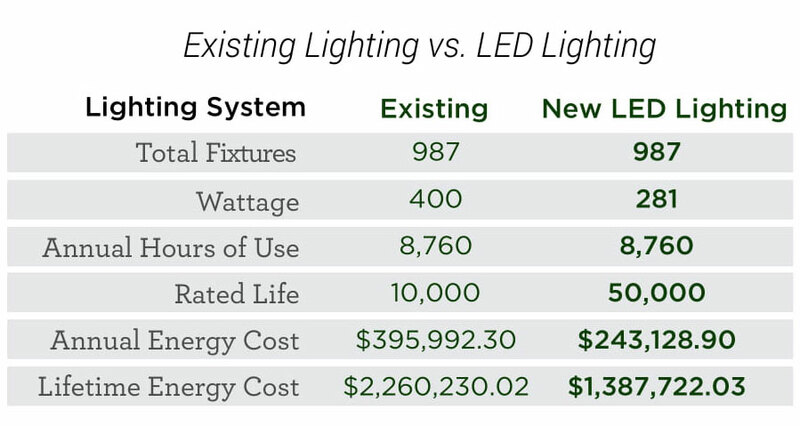 This significant improvement in energy efficiency will result in an annual energy cost savings of $152,863 during the rated life of LED lights. Every month Weldbend can expect to save $12,738 on their electric bill, along with a one-time utility rebate of $116,614.